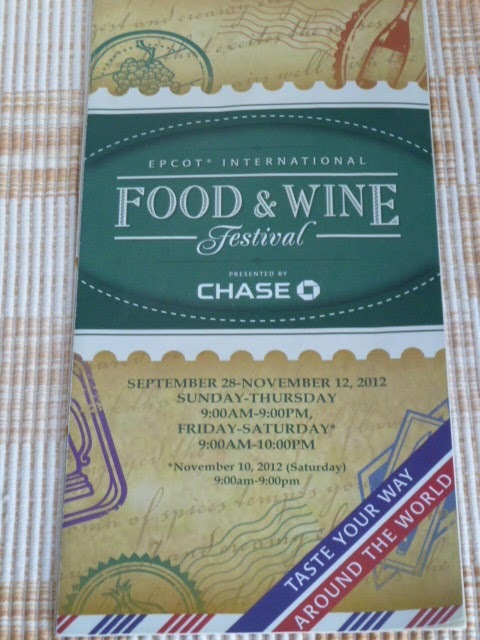 Baking and Cooking, A Tale of Two Loves: Food and Wine Festival. We took a little trip last week, and this is where we went. Any guesses?? If you guessed Disney World, you would be correct. My husband, Scott, had never been to Disney World before, so he got to cross off another item on his bucket list. We spent most of our time in Epcot, which was having their annual Food and Wine Tasting Festival How perfect for two Foodies like us! In Epcot, all of the countries had samples of their food, and drink, a la small plates, on an international level. Just walking around all of the countries, and smelling all of the wonderful foods cooking, was a treat for the senses. There were also Culinary demonstrations dinners, and samplings with various chefs by reservation only. 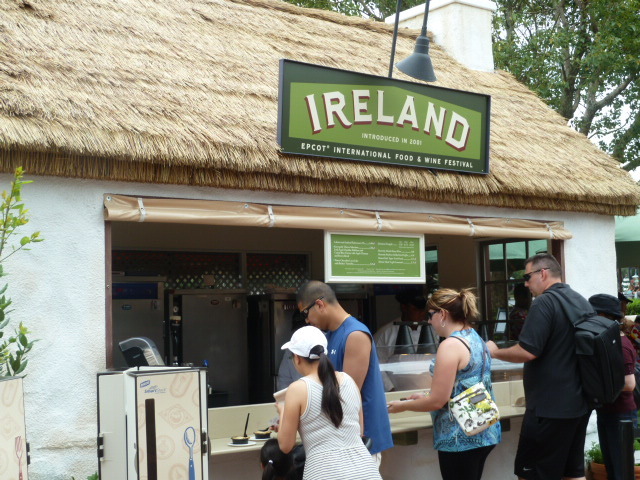 From Ireland, we shared a Lobster and Fisherman's Pie, which had pieces of lobster and fish in a creamy sauce, topped with real mashed potatoes and Irish Kerry gold cheese, and Guiness. The pie was so good, and rich. The pie was $6, not a bad price for a small 4" plastic ramekin. Sorry, I didn't get a picture. We ate it before I could snap a picture. My inner foodie was on vacation, too. From Ireland went to France, where we shared this Coq au vin Sur de Macaroni, Red Wine Braised Chicken, Mushrooms, Pearl Onions, and Macaroni Gratin We got a generous portion of this wonderful dish for only $6, also. For dessert we had a Chocolate Covered Cannoli, Yum. Sorry there isn't a picture of this either. 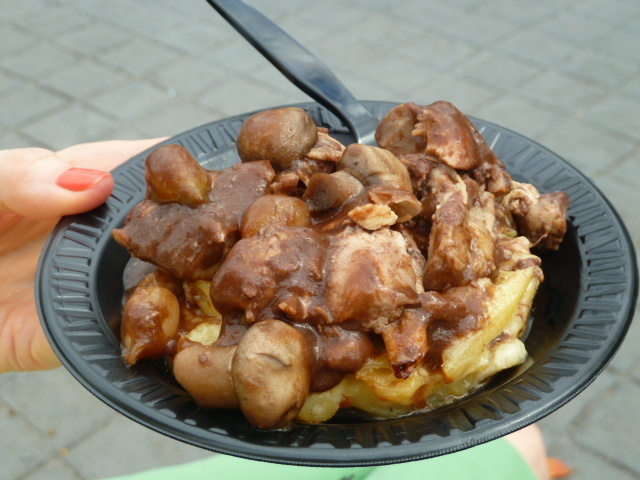 There were a lot of people at Epcot that Day, because the Festival is a popular event, and it was hard to take food pictures. 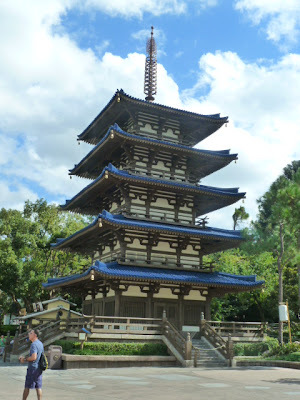 We only spent one day at Epcot, because were going to visit friends In St. Augustine, luckily before Hurrricane Sandy appeared. While we were in St. Augustine, we toured the small town, the oldest US city and the Fort. 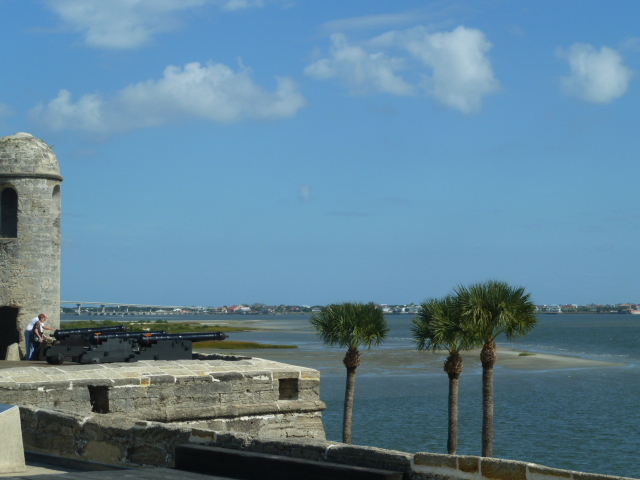 Lots of history, and beautiful beaches. 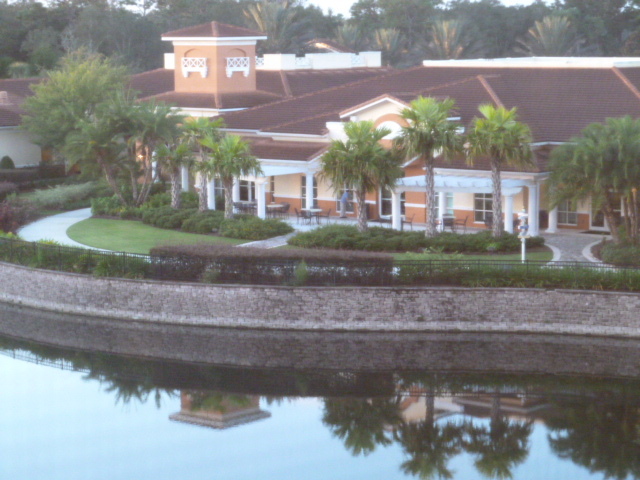 We spent the rest of the time at the resort, where we were staying in Kissimmee. This is a view from our balcony. We were fortunate the Hurricane Sandy didn't come inland in Florida. We are hoping that everyone in the Northeast stays safe! Now we are home and back to "reality." Looks like you two finally got some time to enjoy yourselves that is awesome. Hope you loved your trip here, hopefully you missed our horrible weather we had. I had flooding rain only an hour away from where you are... but we survived ok! Hope you have a blast.!!! Our weather was fine until Friday evening, when it clouded over was windy, and rained. Nothing bad. We left a day early because Saturday, it was supposed to rain more, and turn cooler, definitely not beach weather. 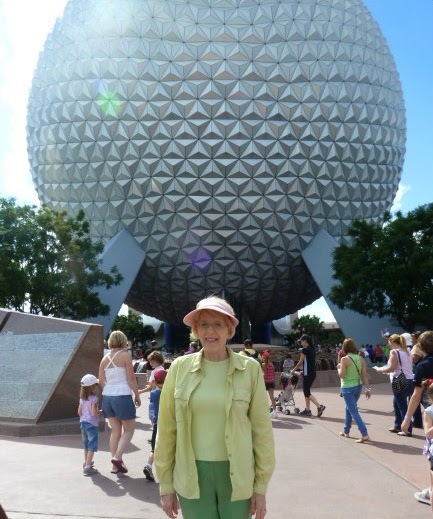 We had a great time, earlier in the week, at Epcot, with our friends, and at the resort! We had a great time, and got to relax as well. We also got to eat a lot of great food. Becky, this is truly a lovely travelogue and I thank you for sharing it. 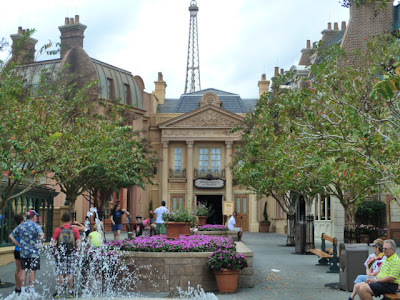 I've never been to Disney World/Epcot and your experience there is everything I've heard it to be. So many cuisines...one day, soon. We were lucky to visit Epcot, when the Food and Wine Festival was running, because there was so much food to sample. Epcot is unique to Disney World, but you should visit there sometime. I've never been to the one in FL, it's on my list too. Great that you made it there when they were having the food, I bet that made the trip that much better. So glad you were there before Sandy, I was watching it on this news this morning and it looked bad. Glad you and Scott had fun. Sandy was only a little rain and cloudy near Orlando. We lucked out. 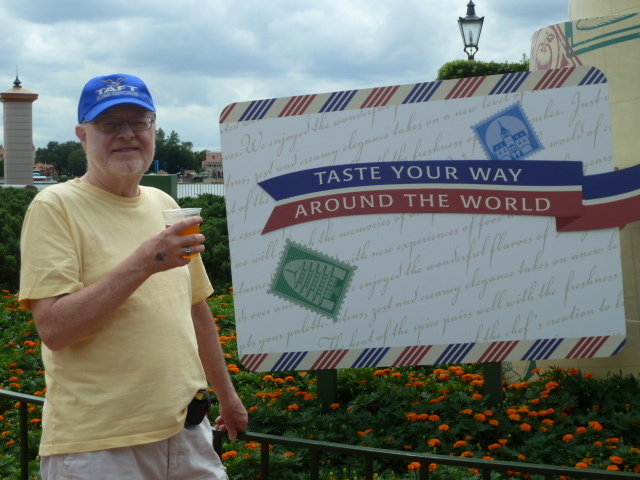 We had a lot of fun seeing Epcot, visiting our friends, and relaxing. My inner foodie needs a vacation too!! Julia Child's Beef Bourguignon in a Pumpkin!